H2O Hair welcomes Senior Stylist Melissa Teeling to our team. She is new to the area and starting to build her clientele. A full bio will be posted soon, but for now I can say she is a top senior stylist with 17yrs experience and an approach to hair that is like my own- Gaila. She is skilled in all areas and also understands curly hair detailing. Melissa and I will be working closely together with her performing my colour work wherever feasible. If you are not happy with your current style, regardless if you are a new or existing client you can receive 50% off your first cut & style with Melissa until Oct 31, 2018. Just mention this blog. Spring/summer 2018 hair fashion is ALL ABOUT BLONDE! 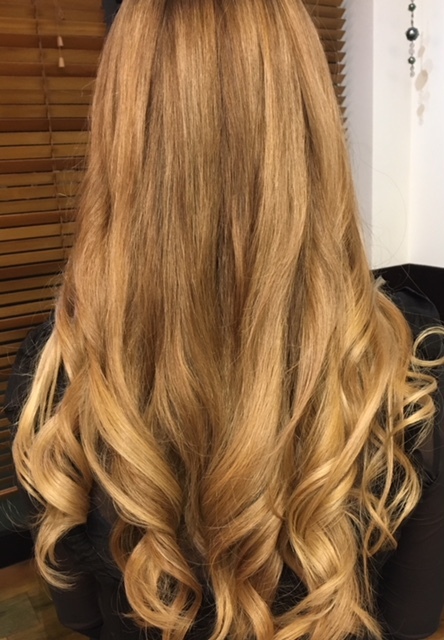 With all the advancements in colour, tools and techniques we can deliver any kind of blonde imaginable. Even if dark hair suits you best, a few tips, soft strands, or a bit of sun-kissed tone on tone can add that bit of interest to your existing colour that says bring on Summer! At H2O Hair we will get you the result you desire, at a fair price. You have our guarantee. The following is feedback from one of our many happy blonde clients (a full testimonials page to be up soon). 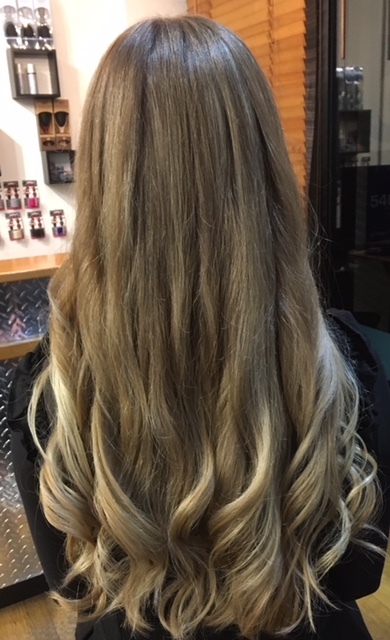 As a bleach blonde I struggled for many years to find someone who would not leave my hair with yellow bands or snapped pieces. Gaila at H2o maintained my hair perfectly long and white blonde for 6 years right up until I moved to Australia where it was then made a mess of again. Thankfully I was able to come back on holiday to get it fixed! I still cannot find anyone with the same attention to detail who uses products that look after your hair and who takes care of your hair while still giving you the results you want. Definitely a life saver for healthy blondes! Do you enjoy being blonde but just a bit bored with your current foil look? Until September 1st 2018 you can turn any regular foil service into a foilage, ( a foil placement with blonding done in between the foils and a toner after to melt it all together) for only $75 extra. Combine this with our already great colour prices and you will be looking at under $200 for the full look including bond strengthener and premium colour products. This is an amazing deal as many salons are charging over $300 for this look! Below are two example of this gorgeous look, one in a soft natural gold and the other in neutral/cool tones with a darker shadow toner at the new growth area which will brighten as the toner fades exposing even more blonde while maintaining a soft look in perfect tone! If your scalp is dry and reactive and/or your hair is dull, brittle or just not feeling great, book a Malibu* Hard Water or Scalp Therapy treatment before any haircut or blow-dry service for only $15, and leave with your hair and scalp feeling and looking fantastic! Upgrade for an extra $15 and have it finished with a Miracle Repair Treatment (pure vitamin C), that leaves the hair shiny, smooth and bouncy by restoring the hair’s natural pH level and elasticity. If you are currently unhappy with your hair, we may be able to help with one of our fantastic winter specials. Whether it’s unruly texture, a haircut that’s not working for you, or lack of softness and shine – we can help. You can choose from one off the offers below or call us for a complementary consultation. We only recommend what will improve your hair, and we guarantee our work. The pH of the water in our region is 1-2 levels higher than hair and skin’s natural balance. This can puff and ruff up the outer surface of our hairs. This allows hard water deposits present in our local water to stick to our hair and scalp. If your scalp is dry and reactive and/or your hair is dull, brittle, and not feeling great, you likely have a build-up of minerals. Book a Malibu* Hard Water or Scalp Therapy treatment before any haircut or blow-dry service during August and September for only $15, and leave with your hair and scalp feeling and looking fantastic! Upgrade for an extra $10 and have it finished with a Miracle Repair Treatment (pure vitamin C), that leaves the hair shiny, smooth, and bouncy by restoring the hair’s natural pH level and elasticity. Kerasilk Keratin Treatments that tame even the wildest hair, providing smooth, virtually frizz free and humidity protected hair for 5 or more months. Reg cost $175-275 (depending on length and density of hair). Experience this treatment with Rosa for 25% off during the month of August 2017. Note: to ensure the best result we do not allow online bookings for this service. To take advantage of this special book a free consultation with Rosa, or call her for a phone consultation. If you struggle to get a good haircut and your hair just not doing what you like, or if it’s only good for a few weeks after having it cut, we can change this for you! We need models for a Pure Form Problem Solving haircutting class on Sat Aug 24th. The class includes a hairstyle designed specifically for you (including styling tips), a shampoo, a conditioner, and a styling product to take home. All at NO Charge! Limited space, so book now! have at least one specific problem with their present haircut they would like to change. FREE PARKING is available underneath The Sands Complex off Bisley Avenue, with more parking across the road at the beach.